Immediately after the Congress received a drubbing in the elections to the Delhi assembly in December 2013, Rahul Gandhi announced that he would be changing the Congress “in ways you cannot even imagine”. Making that change has not proved as easy as perhaps he imagined a year ago. As against his (presumably) radical ideas, there is a conservative element in the Congress that cautions against travelling down “the road less travelled”. After all, it is the present system that pulled the party up by its bootstraps after the disastrous Sitaram Kesri interregnum. It is the same system that brought the Congress to victory in 2004. And it is the same Congress that gave us the thumping victory of 2009, when the party increased its seats from 141 to 206, a gain of 65, notwithstanding having to contend with a full term of anti-incumbency. Why change radically just because of one setback, however severe? There is, on the other hand, the radical element that points to Rajiv Gandhi having declared at the Congress centenary in 1985, and that too in the wake of the largest election triumph the party had ever experienced, that the “brokers of power” needed to be driven out of their perches of patronage (even as Jesus had driven the money-changers out of the temple!). That observation got little traction during the remainder of Rajiv’s term but did result in the Uma Shankar Dikshit report, which laid out a roadmap for the democratisation of the party. Rajiv’s worst fears were realised when the party slid to less than half the seats it had won in 1984 in the Lok Sabha elections held five years later. Inevitably, upon moving into the opposition, his priority task was to dust off the Dikshit report. An extended meeting of the Congress Working Committee was convened on April 4, 1990, which endorsed the Dikshit committee recommendations. The recommendations were then taken to an AICC meeting held in Mavalankar Hall in mid-July 1990, where they received a thunderous welcome. But just a fortnight later, Mandal and kamandal clashed, signalling the inevitable crumbling of the V.P. Singh government. That was followed by the short-lived Chandrashekhar interlude and we were back at elections by March 1991. Two months later, Rajiv was assassinated and his plans for party reform were put on the backburner and have not since been revived. Although, the first A.K. Antony committee (1999) added a coda to party reform by suggesting that tickets be announced six months in advance of elections for the Lok Sabha and three months for assemblies — another recommendation that received CWC endorsement but has remained a dead letter since. It is not known what Rahul had in mind when he said he would change the party “in ways that you cannot imagine” but it would not be too far-fetched to imagine that whatever he had in mind included Dikshit-Antony since that, up to a point, is what he had attempted to do as general secretary in charge of the Youth Congress and the NSUI. Elections to these two bodies certainly blew a whiff of democratisation through the corridors of a party that had not known an elected hierarchy from block to Akbar Road since the perverse election at the Nasik AICC of September 1950, which, to the despair of Nehru and the hard-secular wing of the party, brought Purushottam Das Tandon to the head of the Congress. Since then, for more than half a century, elections have not been the favoured mode. However, Rahul’s Youth Congress/ NSUI experiments were not an unqualified success either. There was disturbing evidence of money and muscle power. Moreover, many prominent mainstream Congress families saw their heirlings winning elections in these frontal organisations. What use were elections if they resulted in the same outcome as nominations? Well, one possible answer is that so long as the parent body works in concentric circles of patronage, inevitably, similar outcomes would taint the results of elections to frontal organisations. Ergo, the lesson to be drawn is not to abandon the Dikshit-Antony path but to take elections to every echelon and every level of the Congress, bottom to top, including the very summit, and make transparent the process of ticket distribution. If anything will galvanise the party after May’s unprecedented reverses, it would be party elections. Yet, due weight has to be given to those in the party who entertain serious reservations about such a radical course. How should the radical and conservative views be reconciled? Rudrangshu Mukherjee’s utterly brilliant Nehru and Bose: Parallel Lives, published last month, perhaps gives the hint of an answer to that conundrum. It deals with the dilemma faced by Nehru in the period 1936-37 when, at Gandhiji’s prodding, he reluctantly took up the challenge, described by Gandhi as “a crown of thorns”, of leading the Congress in the run-up to and through the first general elections of 1937. Nehru’s profound reluctance was founded on the recognition that his radical views on poorna swaraj and socialism were unacceptable to a majority of his colleagues in the senior leadership of the Congress, including the Mahatma himself. 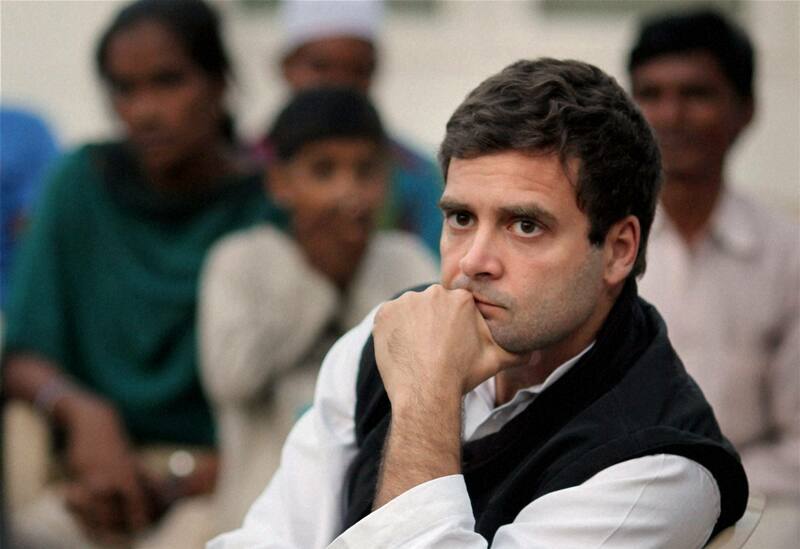 He was 47 years old, not much older than Rahul is today, and his traditionalist opponents were considerably older. What, he tortured himself, was the point in pretending to take the party in one direction when so many of the others he would have to take with him would pull the Congress in a different, indeed opposite, direction? Eventually, he just went to the people on his own, relentlessly campaigning across the length and breadth of the nation “by train, by plane, by car, by bicycle, on horseback, on elephant and on foot”. He spoke to crowds the country had never before seen in every nook and corner of India, in their idiom but often on subjects that were esoteric but which they listened to with care, resulting in an overwhelming victory for the party in eight out of 11 provinces. He then desperately wanted the Congress to refuse to take office but was overruled by the provincial chieftains who were equally desperate to take office. His worst fears of becoming a reluctant president were confirmed, but outside the tight circle of the Congress leadership, the people hailed him as the most popular leader after Gandhi, rivalled in popularity only by Subhas Chandra Bose, who took up the reins in 1938 after Nehru. Bose, whose radicalism at age 41 (younger than Rahul is today) was more extreme and determined than even Nehru’s, was utterly at odds with those whom he described as the “old guard”. Nevertheless, and notwithstanding his serious ill-health, he did his best to get on with them, accommodate them, without letting go of his principles or his larger objective, while also going out to the people, who hailed him as a hero. In his appeal over the heads of the party leadership, directly to Congress workers and the people at large, he was so successful that, despite Gandhi’s expressed wishes to the contrary, he stood and won a second term. Alas, this also resulted in a breach between Nehru and Bose, and the latter went on to form his Forward Bloc and then dramatically escape the British net to Germany, whence by submarine to Tokyo and then to his tragic end in the air crash at Taipei. But he carved an eternal place for himself in the hearts of his countrymen and in the history of the nation’s struggle for freedom. In this week that leads to Nehru’s 125th birth anniversary, I commend to Rahul, Mukherjee’s little masterpiece, particularly chapter five, “Party Presidents”, pages 137-174. It might resolve his doubts and enable him to boldly go forward on the course he has charted for himself.